Canadian choreographer Robert Binet was Choreographic Apprentice of The Royal Ballet 2012–13. 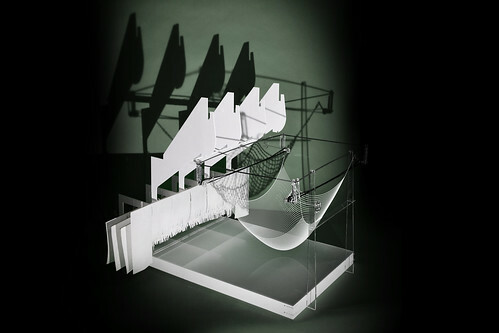 Works at the Royal Opera House have included Void and Fire (Royal Ballet), Life’s Witness (Studio Wayne McGregor), EGAL (Ballet Black) and At the River Styx and Aerial View (Royal Ballet Draft Works). He also created the film White Rush with dancers from the National Ballet of Canada, commissioned by The Royal Ballet as part of Deloitte Ignite 2014. Binet was born in Toronto. He trained at Canada’s National Ballet School, where he won the Peter Dwyer Award (Canada Council for the Arts). After graduating he shadowed John Neumeier at the Hamburg Ballet, and created Die schöne Müllerin for the company’s Bundesjugendballett. 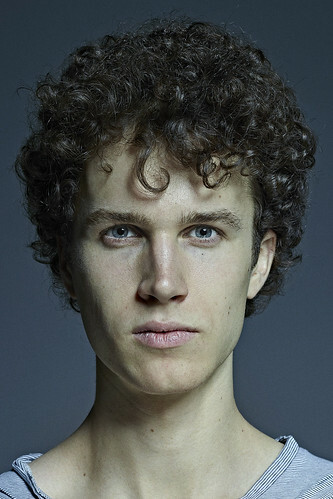 While Royal Ballet Choreographic Apprentice he created Stretchy Movement for Studio Wayne McGregor, in addition to works including Voces intimae (Estonian National Ballet) and Polar Night and Incident and Repose (National Ballet of Canada). In 2013 he was appointed Choreographic Associate of the National Ballet of Canada, with his subsequent works for the company including Unearth, These Worlds in Us, The Wild Space Between Two Hearts and Orpheus Becomes Eurydice. Binet’s further works include The Blue of Distance (New York City Ballet), Surfacing (Dutch National Ballet Junior Company), numerous works for Canada’s National Ballet School, contemporary variations for the 2013 Genée International Ballet Competition (later included in the Royal Academy of Dance syllabus) and choreography for the music video for Belle and Sebastian’s The Party Line. Ryoichi Hirano and Alexander Campbell in rehearsal for The Dreamers Ever Leave You. The Royal Ballet Season 2017/18. Ryoichi Hirano in rehearsal for The Dreamers Ever Leave You. The Royal Ballet Season 2017/18. Francesca Hayward and Alexander Campbell in rehearsal for The Dreamers Ever Leave You. The Royal Ballet Season 2017/18. Yasmine Naghdi and Ryoichi Hirano in rehearsal for The Dreamers Ever Leave You. The Royal Ballet Season 2017/18. Robert Binet rehearses Yasmine Naghdi and Ryoichi Hirano for The Dreamers Ever Leave You. The Royal Ballet Season 2017/18.